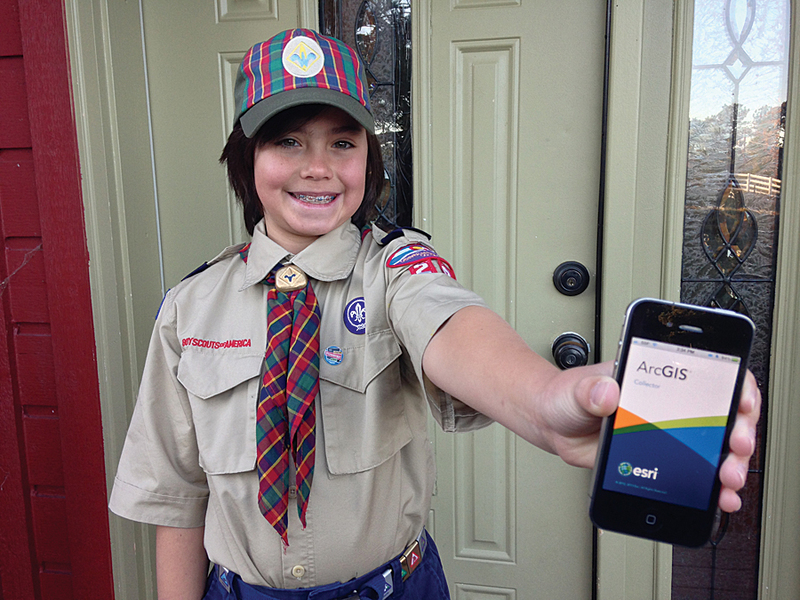 The author and his son, Joshua, created a web map on ArcGIS Online and used Collector for ArcGIS to manage popcorn sales for Cub Scouts fund-raising. With the advent of ArcGIS Online, GIS can scale down as well as up and improve outcomes for even modest tasks. The author, a GIS professional, and his son applied ArcGIS Online to a fund-raising activity to get the job done not only efficiently but enjoyably. 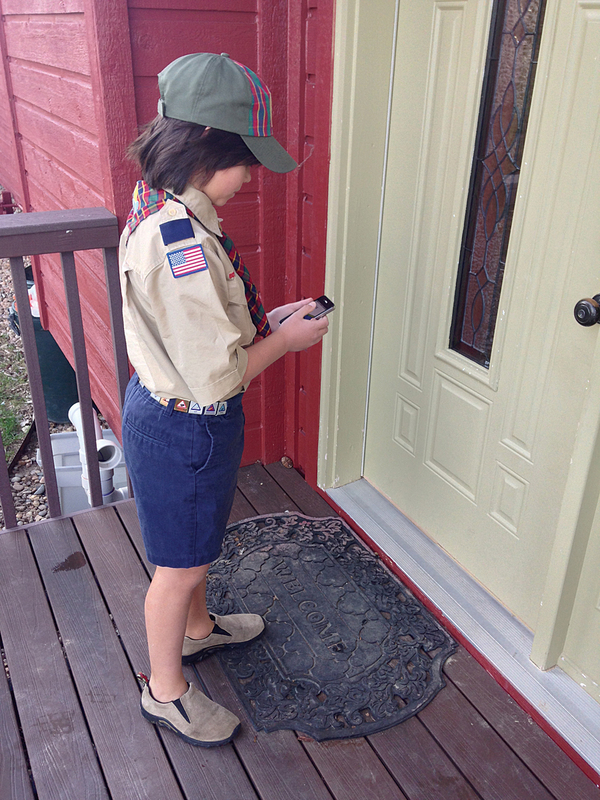 My nine-year-old son Joshua is in Cub Scouts in Parker, Colorado. Every year, troops sell popcorn to raise money to pay for scout activities. At the sales kickoff meeting, the leader of our group said that he often prints a map of the neighborhoods where his boys are selling popcorn. That way, they can check off which households they sold to, where no sales were made, and where no one was home. He also talked about transposing the paper order sheet into an Microsoft Excel spreadsheet. Like any good GIS geek, when I hear the words “map” and “spreadsheet” together, bells go off. Add collecting data in a mobile environment and this quickly became a great opportunity to teach Joshua about what I do every day. The popcorn sales map featured cool marker symbols. As Joshua reached each house, he dropped a pin on the map, and Collector for ArcGIS provided a reverse-geocoded address. The geocoded address was then copied into a new record. The resultant web map showed houses where orders were placed, houses where no one was at home, and houses where residents did not want popcorn. 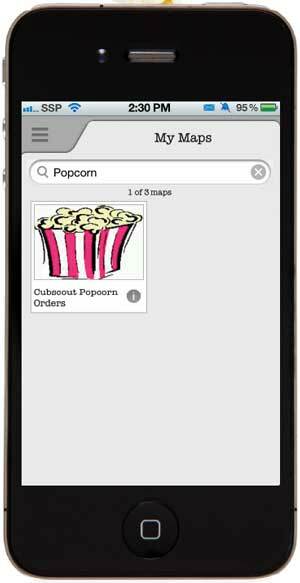 So Joshua and I headed home to create an ArcGIS Online web map to keep track of where he collected his popcorn orders. We started by creating template comma-separated value (CSV) files for the three categories of events he wanted to enter: Successful Sale; No One Home, Potential Revisit; and Not Interested. For the Successful Sale CSV file, we created fields for name, address, order date, each type of popcorn product, payment type, and a flag to eventually track the deliveries of the product. The goal was for Joshua to be able to capture all the information he needed for each sale and then use that data when delivery time rolled around. This would allow him to cover more ground quickly while capturing the details about each house he visited. We uploaded each CSV file to ArcGIS Online and then created a quick web map. We customized the field aliases to include the prices of products. We also set up some cool symbols, such as bags of popcorn, and then published the map. The entire process took about an hour. The next day, armed with my iPhone, Joshua hit the streets to begin selling popcorn. To collect information in the field and add it to the map we created in ArcGIS Online, I had him use the free Collector for ArcGIS app instead of the basic mobile Esri app because Collector is geared to collecting data in the field and works with ArcGIS Online or Portal for ArcGIS. After downloading Collector for ArcGIS, the app just asks you to sign in to your ArcGIS Online account or a portal. The quick setup left time to create some cool symbols for the map. Joshua learned how to use this app more quickly than most adults. We didn’t have any of the change management issues sometimes encountered with older workers. The GPS functionality worked well. The app showed him immediately where he was located. As he reached each house, he dropped a pin on the map, and Collector for ArcGIS provided a reverse-geocoded address. This address could be copied into a new record, which was much easier than typing it in. The geocoding worked pretty well but occasionally pulled up a neighbor’s address, so we validated the addresses as we went along. Entering a new sale was very easy. 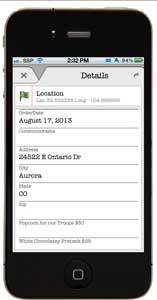 Joshua entered the name, date, address, product quantities, and payment details into the form in the app. As Joshua made each entry, the web map was populated with quality data—point features categorized as a Successful Sale, Not Home, or Not Interested. The best part of this quick project was that I got to sit in my comfy, air-conditioned car as Joshua entered the data. I watched his progress in real time via my iPad. As the point data automatically appeared, I was able to do quick quality assurance/quality control (QA/QC) of the entries as needed. At one point, I lost Joshua, but I was able to quickly find him by driving a block over to his last entered point. To add another dimension, the sales data was mashed up with demographic data from ArcGIS Online, revealing the median income for the targeted neighborhood greater than $113,000 per year. Finally, to have just a bit more fun, I decided to mash up our targeted sales area with some Esri data available on ArcGIS Online. 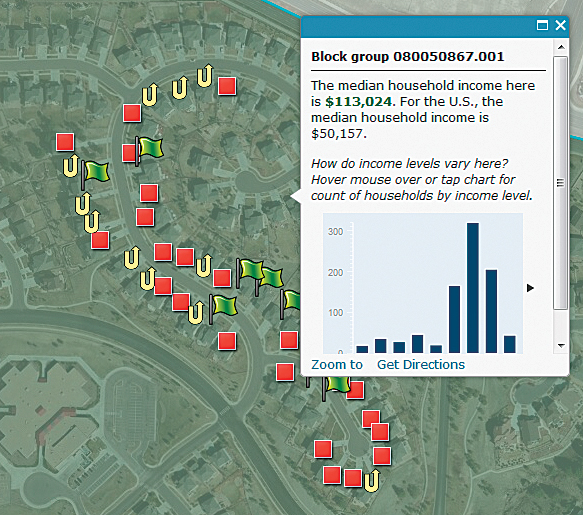 I pulled up median income for the targeted neighborhood and overlaid it with our initial sales locations. We found that we were in a good area to make sales, as the median income in the neighborhood was greater than $113,000 per year. I’m sure there’s some psychological study on the best median income for successful popcorn sales, but that’s a bit beyond my expertise. We will certainly use this layer to target Josh’s next sales drive. This project makes a pretty strong case for managing data entry from the back office, another mobile location, or really anywhere at all. The Collector for ArcGIS app was a success. It was easy enough for a nine-year-old to use and, based on watching how kids play games, I’d bet kids much younger could become GIS whizzes too. 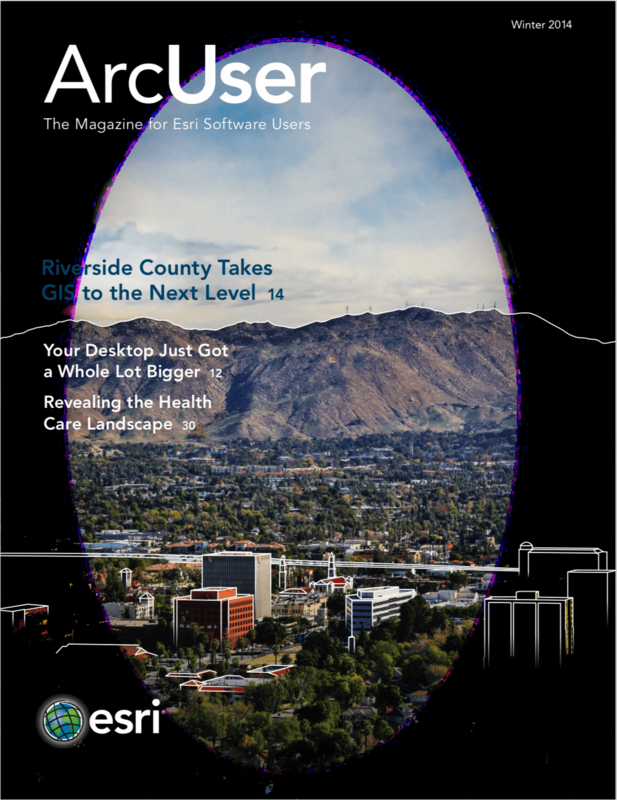 What was great about working with Esri ArcGIS Online? 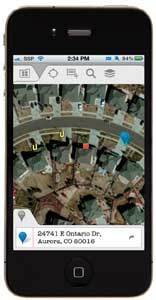 It gave us a new way to collect, analyze, organize, and empower spatial data that we could deploy on any common mobile device platform. This makes implementation easy and limits change management because just about everyone knows how to use a smartphone these days, even children. By the end of the day, this experience had offered a great opportunity to teach Joshua a bit about GIS. 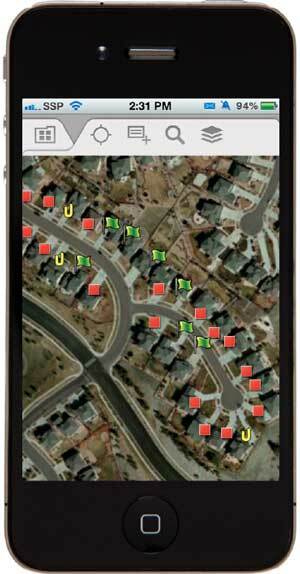 ArcGIS Online was a natural fit, and we had a lot of fun creating and using the Collector for ArcGIS app with it. We wrapped up the popcorn sales drive this month and will use the Collector for ArcGIS app again to track our delivery progress when the popcorn and other products arrive in a few weeks. We will create a new web map for that using symbols based on the delivery flag for each sale record. ArcGIS Online provided Joshua with a great first GIS experience and made the collection, analysis, and reporting of the popcorn sales data quick, easy, and—dare I say—outright fun. Skye Perry is the principal consultant for Esri partner SSP Innovations, LLC, based in Englewood, Colorado. SSP Innovations provides implementation and integration of the full line of Esri software from setting up comprehensive, ground-up solutions to optimizing and expanding existing investment in GIS.